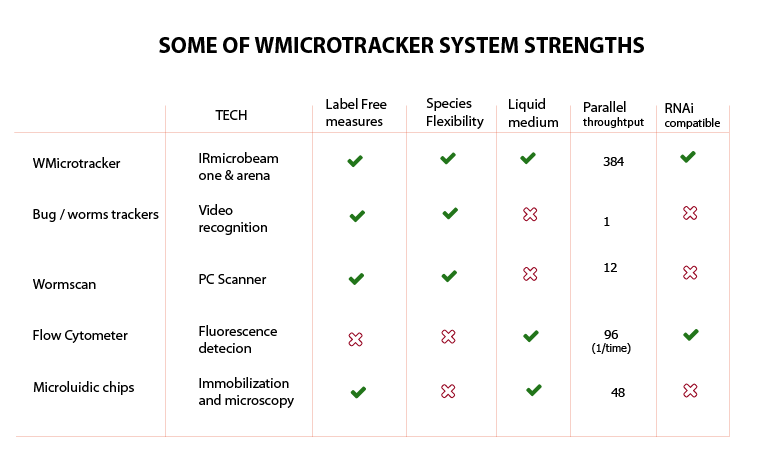 With WMicrotracker One you can get fast and accurate measurement of small animals grown on multiwell plates. Reliable Screening of Dye Phototoxicity by Using a Caenorhabditis elegans Fast Bioassay. Effects Of Size, Coat, And Shape. An automated tracking system for Caenorhabditis elegans locomotor behavior and circadian studies application. 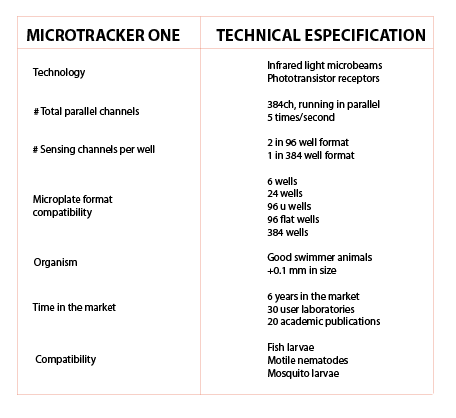 Evaluation of WMicrotracker for assessing C. elegans stress responses. Hengyi Zhu. 2016. University of Oslo. Master thesis.